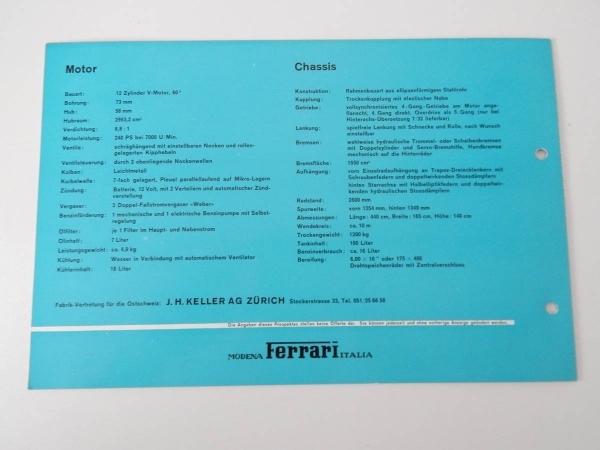 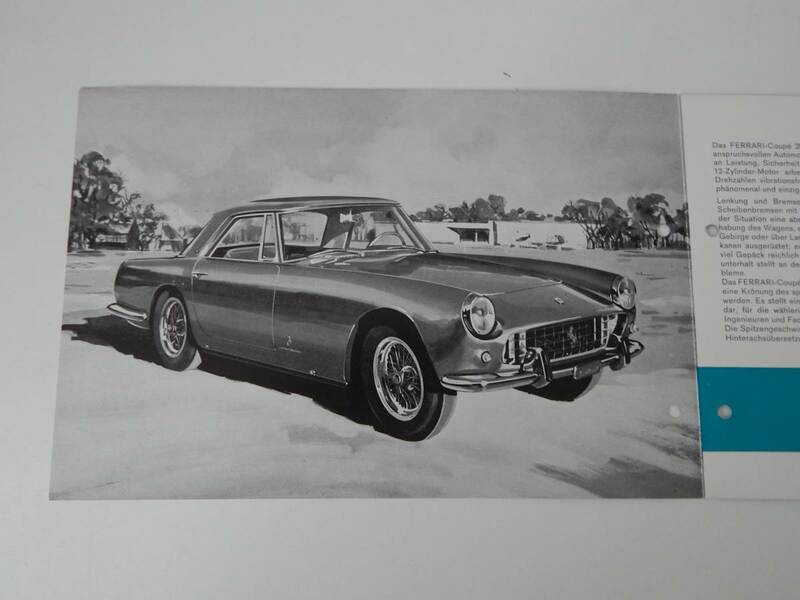 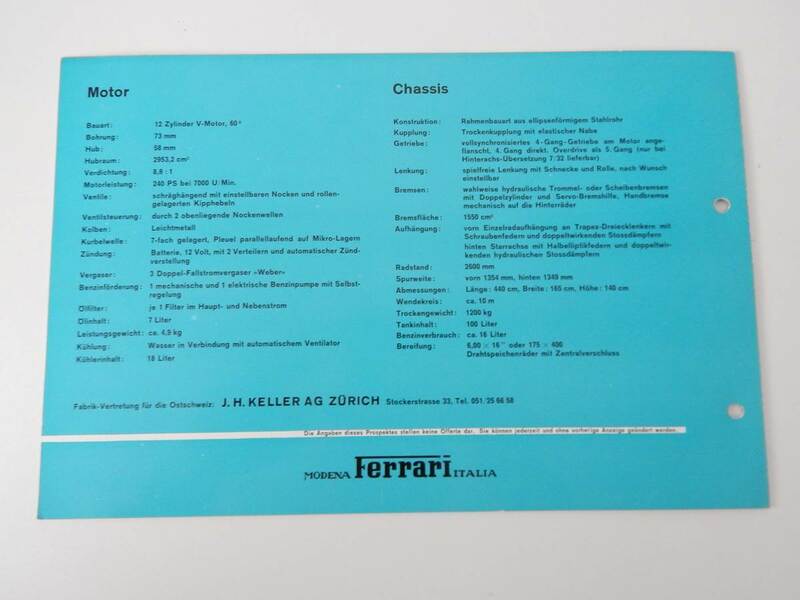 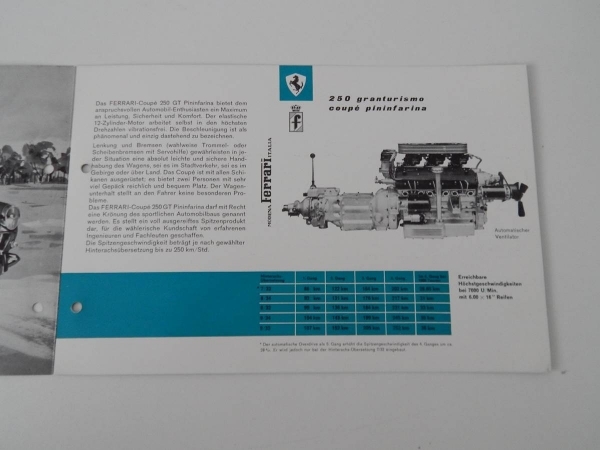 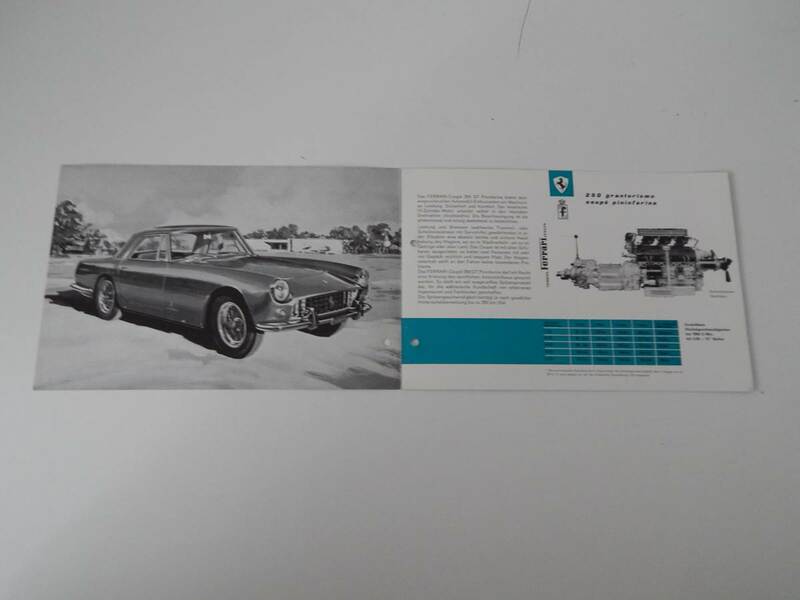 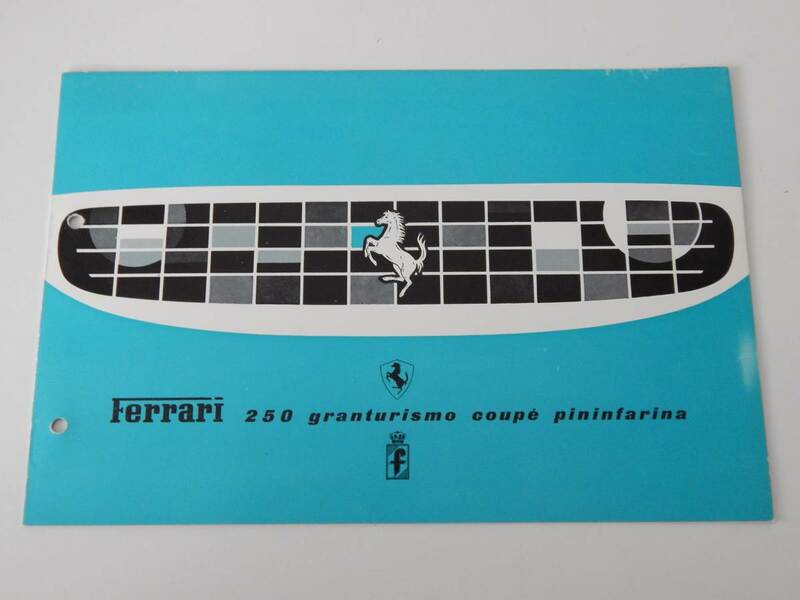 Original Ferrari 250 Granturismo Coupe Pininfarina (PF Coupe) Sales Brochure, in very good condition. This brochure is presented in German, and has extensive details on the PF Coupe as well as some lovely period photos. 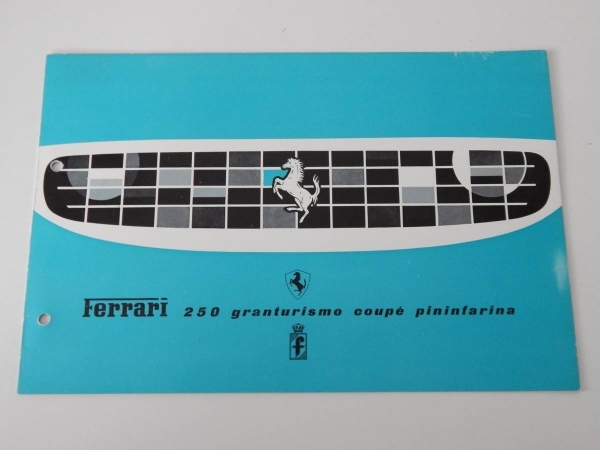 Perfect for any collector of Ferrari literature!